We're wrapping up everything and calling it quits (until Monday, of course)! With that being said, we don't have any exciting news or photos to show you. 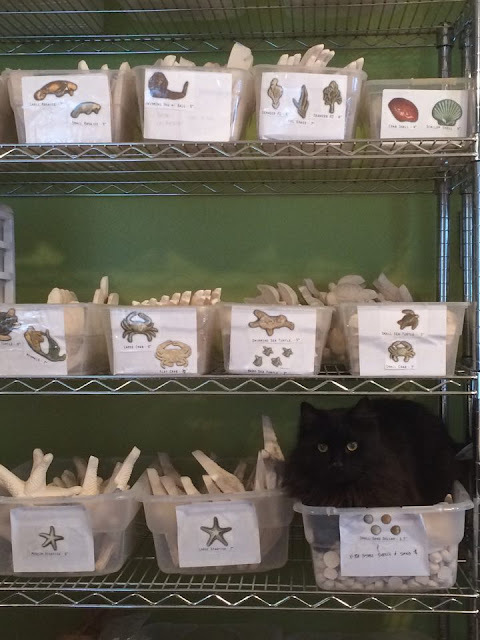 However, here's a photo we took of a little visitor who came to help us take inventory! Badger, one of our resident kitties, letting us know we're low on extra small shells!